Dionicio Rodriguez was the recognized master of this Mexican artform. 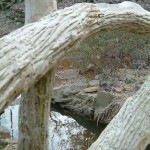 The origin of this movement began in France, but in Mexicans living in Texas it was used to create outdoor furniture and other landscape ornaments that had the look of wood but were better able to withstand the heat. Dionicio’s hyper-realistic techniques were secrets that he never shared. 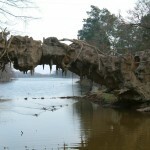 Rodriguez also employed his “trabajo rustico” technique in various other cities like San Antonio, Memphis, and Port Arthur. Justin Matthews, the developer of the town’s Park Hill and Lakewood subdivisions, hired Rodriguez in 1932 to create a tourist attraction for his new suburban development. 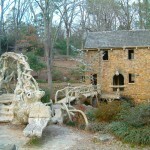 Formally named Pugh’s Mill in honor of Matthews’s lifelong friend Thomas R. Pugh, the mill features a two-story stone building, bridges, benches, and other examples of Rodriguez’s art, all designed to look like an abandoned nineteenth-century gristmill. 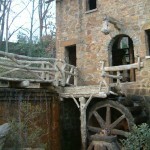 The two-story, rock mill building is fitted with a five-ton water wheel made by Rodriguez. 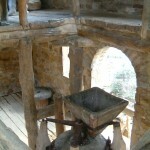 In the building are remnants of a working mill that has been neglected for years. 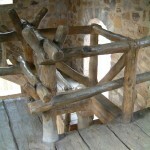 The floor and stairs have the look of well-worn wood planks, and the hand railings seem to be logs and limbs nailed together. 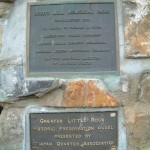 The former Justin Matthews Company gave the park to the city on May 24, 1976. 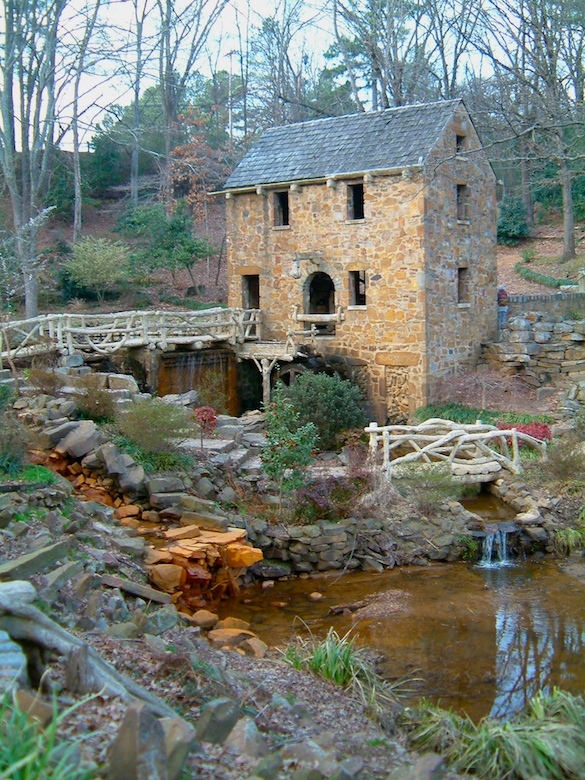 In 1990, the Old Mill was the site of the unveiling of a postage stamp commemorating the fiftieth anniversary of Gone with the Wind’s receiving eight Academy Awards. (No one knows how the Old Mill was chosen for that opening shot.) 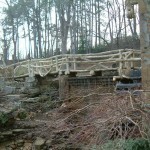 The mill attracts thousands of visitors a year.